NORTHFIELD, Minn. – As part of its $3 million investment in the Northfield community, SpartanNash today celebrated the grand reopening of its newest Family Fare Supermarket, located at 601 Division St. The renovation is part of SpartanNash’s overall investment in its Minnesota stores and local communities. The Red Wing Econofoods underwent a simultaneous $500,000 makeover, and the Litchfield location is also in the process of a similar renovation and rebannering, scheduled to be completed in October. 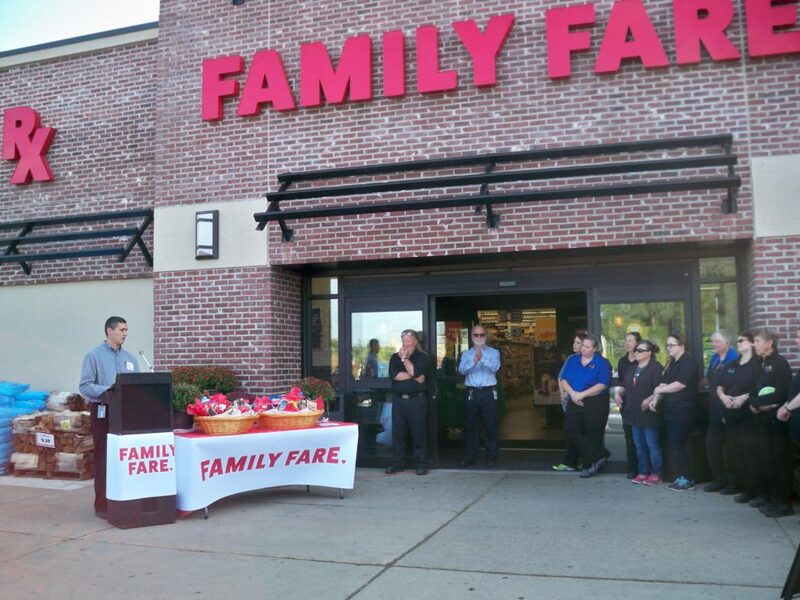 In total, SpartanNash operates 85 Family Fare stores in six states. At the Northfield ribbon-cutting ceremony, a pallet of food was donated to the Community Action Center, in addition to donations to local fire and police departments. The transformation of the Northfield Family Fare began in April, when it was reset to make it easier for store guests to navigate the perimeter and aisles. New signs, flooring and décor were also installed to update the interior of the stores, and the exteriors received a facelift. Energy-saving lighting and equipment was also installed to brighten up the shopping experience and reduce energy consumption. The Family Fare Supermarket now features a Betty Kaye’s Smokehouse, where smoked meats are prepared by expert pit masters and paired with special recipe rubs, sauces and hot sides such as mac and cheese and cornbread for a complete take-home, family-style meal. Self-checkout lanes for additional checkout options and personalized customer service. Expanded produce department with a wide variety of organic and local farm-fresh products as well as pre-cut produce to make meal prep quick and easy.